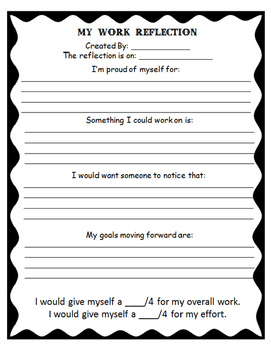 This excellent work reflection form works well with any test, assignment or project as a reflection and goal setting component. I give it to students after having them review their work on unit assessments. I share the form along with student work at conferences. The process is very insightful for students, teachers and parents!